Between the 3rd and 10th of November 2012, Dimitris was at Bologna, Italy, in order to be present for the showing of his work at the Arnon Art Gallery. Due to the great acceptance of the audience of Bologna, the exhibition of his work at the gallery has been made permanent, and will not conclude at November 10th as initially announced. Several of the pieces you see on this website are currently being exhibited at the Gallery and they are available for purchase. The opening of the Dimitri’s exhibition also signified the opening of the Arnon Art Gallery, as the Gallery choose to open it’s doors with his work as the main feature. The art lovers of Bologna enjoyed an evening at the elegant new gallery, located at one of the beautiful areas of Bologna. During the opening of the gallery, Dimitris answered many questions regarding his painting style and technique, and was offered the opportunity to make a painting demonstration for the art students of Bologna. Dimitri’s art at the gallery. Dimitris is currently supplying the gallery on a regular basis with paintings and drawings, available for purchase. 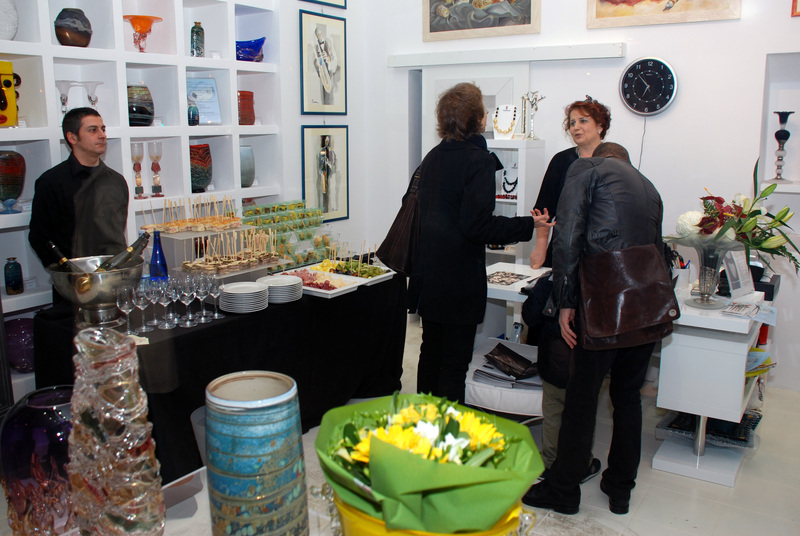 Feel free to visit the gallery and see the art in person at Via Farini 26/d, 40124, Bologna.